Due to the emergence of new technologies, usage of internet is growing day by day. People prefer to watch videos, to perform a particular task instead of reading the lengthy paragraphs.To keep readers on your website for a long time, you can add videos in addition to the articles or posts. This could be a better alternative to interact with your readers in the effective and an efficient manner. 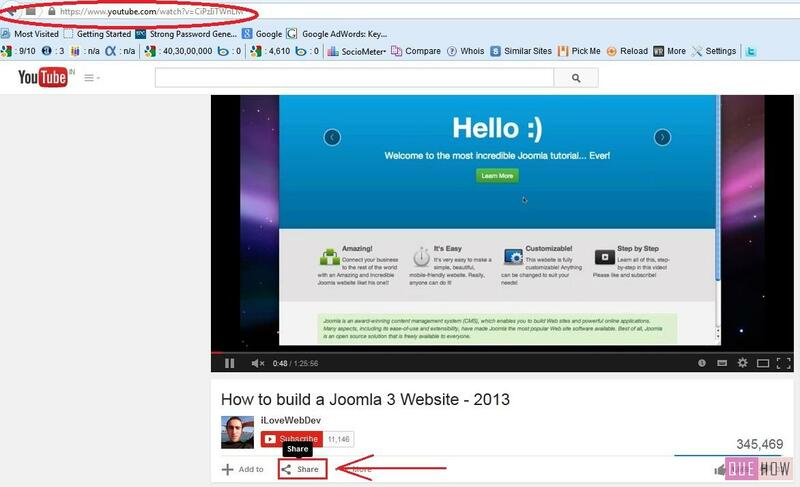 Through this article, you will learn to embed YouTube video in Joomla by simply following a few steps as explained below. The first two steps will explain, how to change your editor so that the video you are going to embed would not clash with the editor settings. Editors such as Tiny MCE and JCE would restrict iframes due to the security reasons, even if you allow the iframes by changing the settings, it will not work. 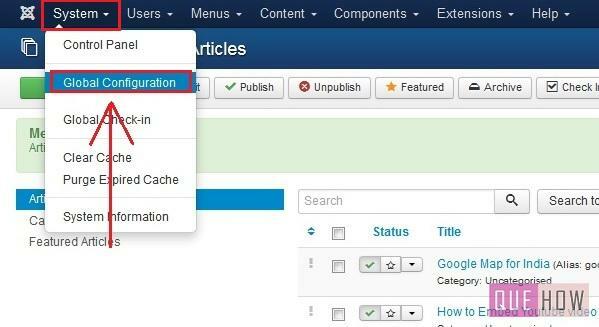 Step 1: Log-on to your Joomla Website. Click on “System” option at the top menu bar , and then go to “Global Configuration”. 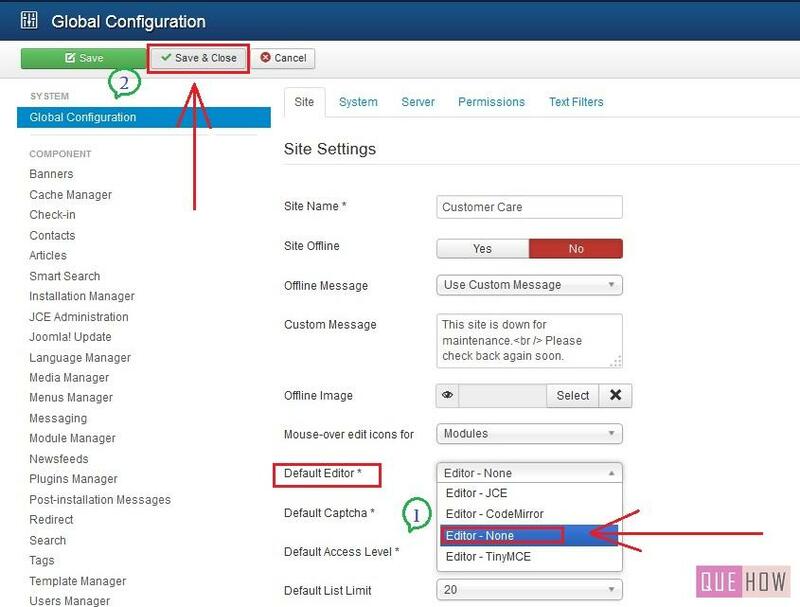 Step 2: Under the “Site settings” panel go to the “Default Editor” and then set “Editor – None”. Click on “Save and Close”. 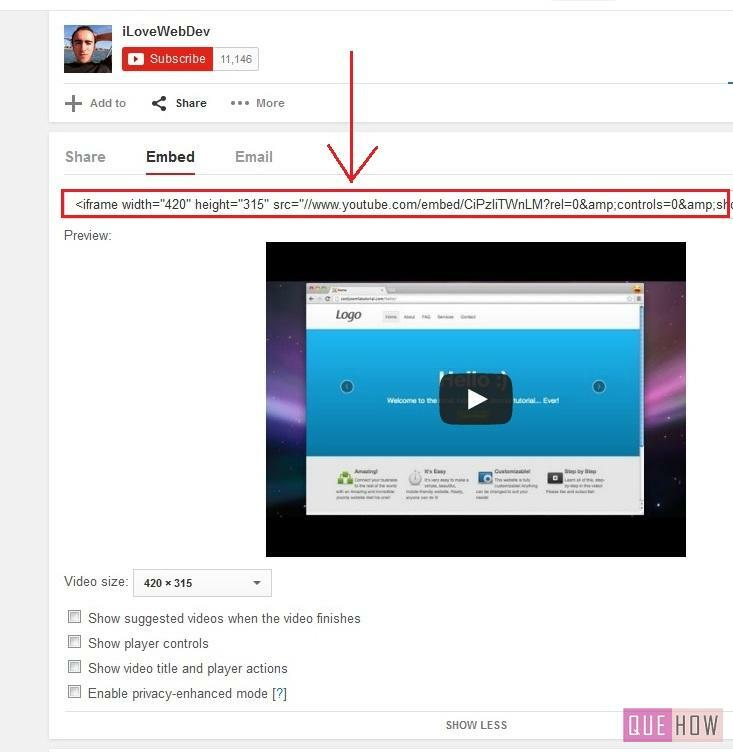 Step 3: Once the Global Configuration is changed, there will be no difficulty in embedding a YouTube video. Search for the video in the YouTube, once you find that, click on “Share” button. Step 4: As soon as, you click on share, the three options will appear, i.e “Share”, “Embed” and “Email”. 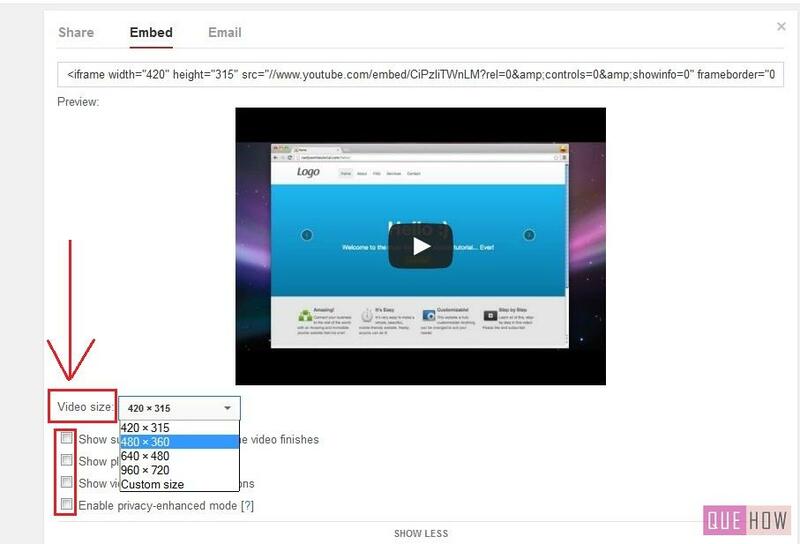 Click on “Embed”, so that the code associated with the respective video may appear. Step 5: Copy that code into your notepad for sometime, that would be beneficial at the time of adding it into an article. Meanwhile, you can customize the video according to your preferences by following the step as described below. Step 6: In the preview, select the “Video size” option, available at the bottom, from where you can choose the desired size that you want. Step 7: Now, prepare the article in which you wish to add the desired video. For that you need to go to the “Dashboard” of your website and then click on “Content” tab. You may see the “Article Manager” over there, click on it, then click on “Add New Article”, if you wish to create a new article in which you may embed your video. Otherwise, from the “Article Manager” you can choose the article and directly paste the code of the video there. Step 8: After clicking on “Add New Article”, a new article page appears. Now you have to give the title to the article and then copy the code from the notepad and paste it in the “Content” section. On the left sidebar “Category” option is available from where you can place this article under the category which you have created earlier. Then click on “Save and Close”. Step 9: Your video is now embedded successfully. 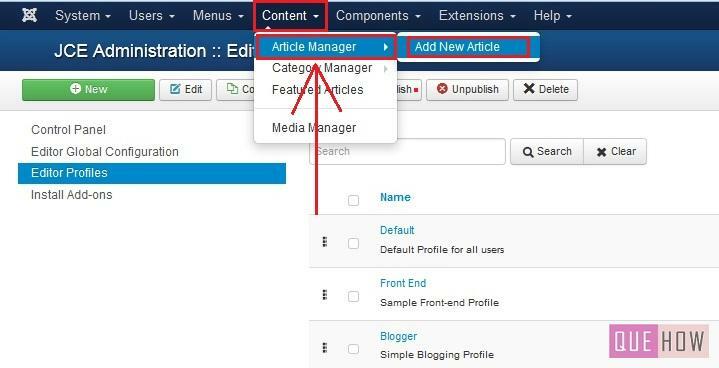 In order to cross check this, you can visit to the front-end of your website and reload it to make the changes and then open the respective article. The video, which I have embedded in the article is now ready to view, as shown in the figure below.